Yoga – is, in fact, a way of life, including all its aspects. What can yoga give to athletes? In a nutshell – increase in strength, endurance, mental alertness, calmness, and healthier sleep. Moreover, yoga is not just another type of effective physical training, it is much more: after starting doing yoga regularly, you will find that you become better as a personality, your life and your surroundings, family, relationships – everything is improving. Yoga – is, in fact, a way of life, including all its aspects. In What Kind of Sport is Yoga Especially Effective? In fact, in any, since it is not about a concrete complex, tooled for a specific sport. It is about a complex approach that creates the conditions for the transition of our body and mind to a new, qualitative level. This has a very positive effect on both sports performance and satisfaction in life. I will give some highlights, because it is difficult to list all the benefits of regular yoga practice in one small article. Regular practice of various yoga postures (asana), as well as breathing exercises (pranayama) helps to strengthen the muscles, develop a qualitatively new strength, and also improve muscle elasticity and mass. Especially the effect of yoga is noticeable in such disciplines as swimming, running and cycling. 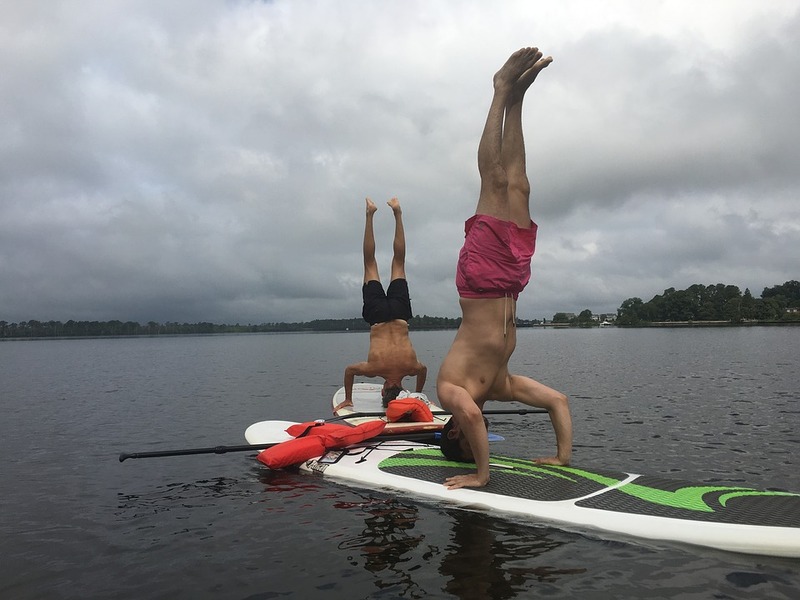 Yoga and swimming is a long-known combination, very harmonious and useful. Not only specific muscle groups, but also the strength and endurance of the body as a whole is improving, which provides additional efficiency during training and competitions. The thing is that our body is a single system in which all parts interact with eachother. By acting positively on the whole system, we also strengthen its parts, making their functioning optimal. Another interesting fact: there are muscles in our body that work more, and there are those that work less. Even if we have strong muscles, an injury can happen when the exertion moves from the main muscles to those that are less developed. In addition, even strong muscles can injure weaker ones, since there is still an interaction between them. For example, you have strong arms, you can lift weights, but at some point, the exertion is not distributed as it should, and you can sprain your back, for example, or the tendons on your legs, etc. So yoga for muscle strengthening is very effective. If you, for example, are a swimmer, then your body is strong enough and flexible, but what about balance and coordination? Thanks to the yoga practice, you can develop an excellent balance, which is very important, because it helps to better control the movements of the body, its position in space. And this, in turn, improves your technique altogether, regardless of what kind of sport you are doing. The process of stretching muscles and tendons in yoga is more associated with holding a particular posture than with the number of repetitions of this posture. In other words, if you stretch the back muscles, the pelvic area and the hamstrings with the help of, for example, pashchimotanasana, then instead of doing this pose many times, you are limited to a few short approaches to prepare the body. After that you take the final pose, and try to relax, as much as possible. The important point in this practice is being for a long time in acertain position, the body “gets used” to it, making your stretch, although, longer (though it is not necessary), but more stable and steady, because your body will get used to such a state, and will keep it for a longer time. Why do you need a good flexibility, I think no need to explain it. Although, in a nutshell, it will help to avoid injuries, increase the movement amplitude (and therefore improve the technique), make the muscles work more economical and efficient because of their increased elasticity. Of course, there is also such a phenomenon as “hyperextension”, but if you correctly perform yoga asanas, then you do not face this phenomenon. The impact of yoga on the person mind and psyche as a whole often escapes the attention of popular teaching methods. People are always more interested in the physical side of yoga because of its effectiveness and “intelligibility”, while mental work is often associated with something “incomprehensible.” However, yoga has many aspects; even performing asanas and pranayama, you will feel the real good for your mind and psyche. If you go further and supplement your yoga practice with meditation, it not only “optimizes” your emotional sphere (allowing you to enjoy life more), but also has a positive effect on the physical form, as it has long been established that the mind and body are closely interrelated (for example, when you experience severe stress, it can lead to muscle cramps, back or stomach pain, and even to an ulcer). The other side of mental practices is to influence on the body with the help of the mind. For example, the simplest variant is the execution of shavasana (a relaxing posture after the basic yoga complex). Thanks to deep relaxation, both in the body and in the mind, a person qualitatively rises to a new level, and gets the maximum benefit from his training. In addition, emotional control is developing (especially when practicing meditation) which allows effectively and less “painfully” overcome life’s difficulties. Also, the ability to focus and deeper reality perception is growing. Actually, the physical side of yoga was originally intended to curb the mind, to stop the internal mental dialogue (or monologue), to reveal the full human potential. The mind, like muscles, can be trained, “pumped”, making it more manageable and flexible. Usually we are not able to control our mind, we often do not even know how it is done. But the practice of yoga will help us succeed in this, revealing for us a new, previously unknown, but very interesting side of life. There is a lot of interesting that can be written about the subtle influence of yoga on a person, his consciousness, but you will understand it by starting doing youga seriously. Do not forget about the therapeutic effect of yoga practice. Yoga is effective for the muscles of the back, for the muscles of the abdomen, thus there is happening not only strengthening the muscles, but also the restoration of the internal organs functioning: if we talk about the back, this is a healthy spine; strengthening the muscles of the abdomen with the help of yoga leads to the normalization of the work of internal organs – that is how postures of yoga work: holistically and harmoniously. In addition, regular yoga will not only make you stronger, more enduring and flexible, but will also hasten the recovery process, both after competition or training, and after injuries. In other words, your health will improve. 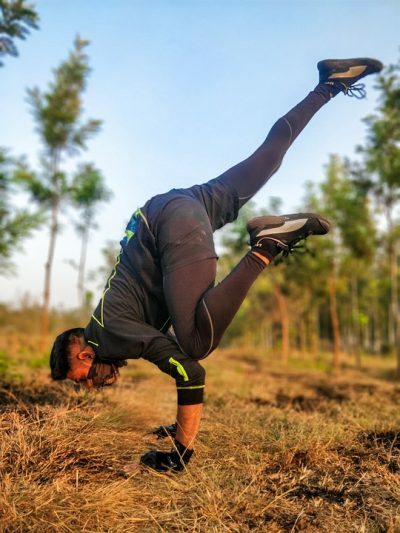 I can not say that the above arguments about the benefits of yoga for athletes are exhaustive, however, I think there is enough of them to evaluate the effectiveness of yoga practice, both in sports and in everyday life.